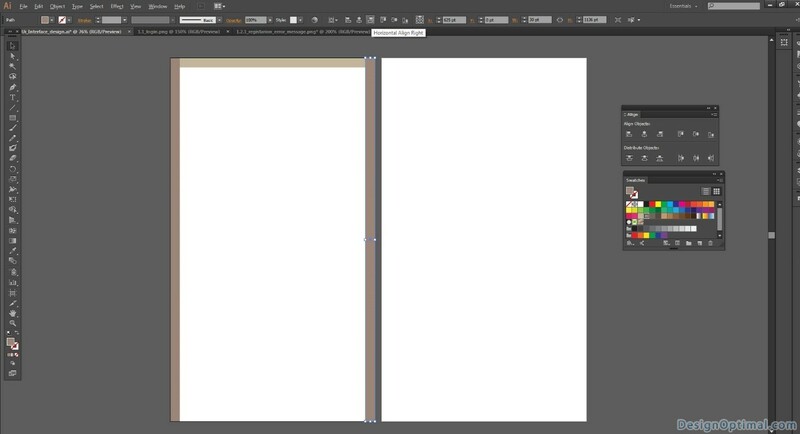 Hello, Thanks for joining with us again guys (gals too :P). Today we are going to show you how to create a simple Mobile UI design Using Adobe Illustrator based on some metro style icons. 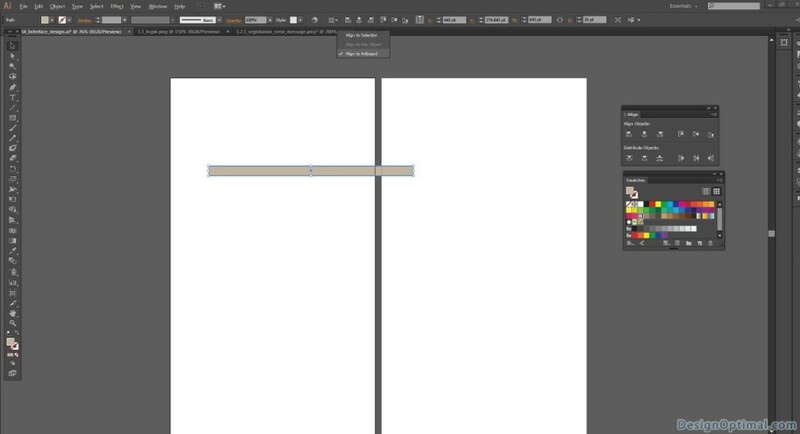 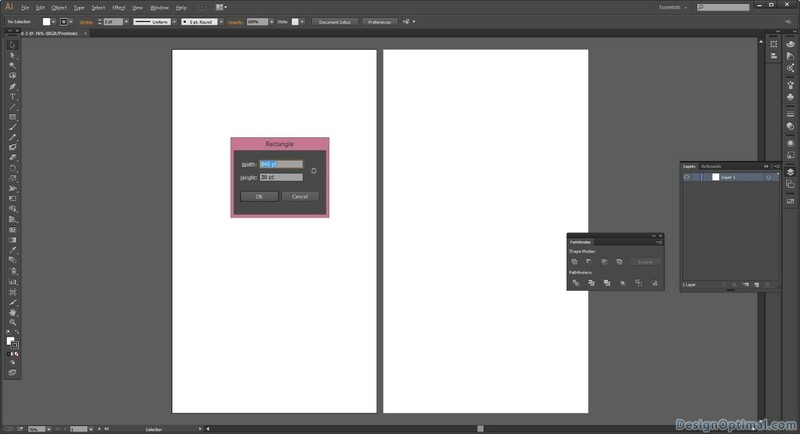 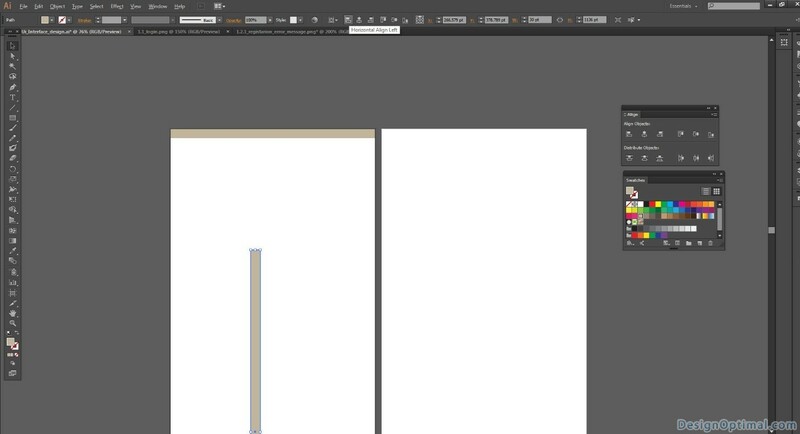 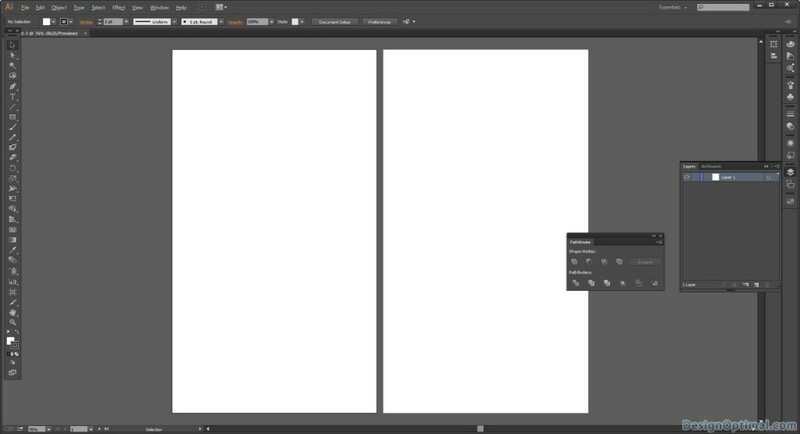 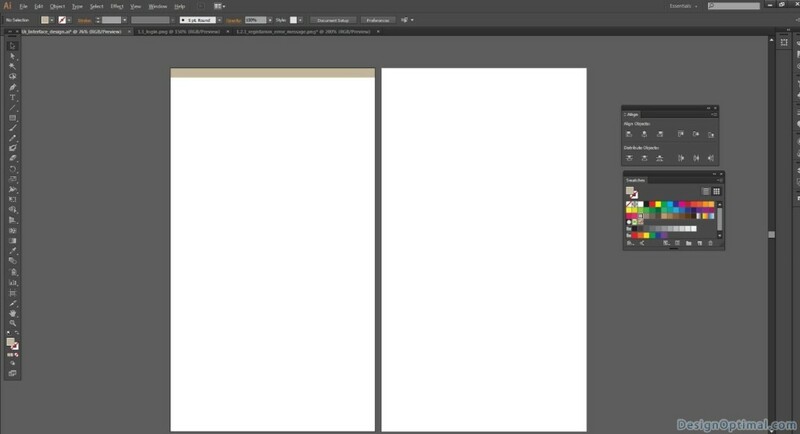 Open Adobe Illustrator and create a new document of 640x1136px art board. 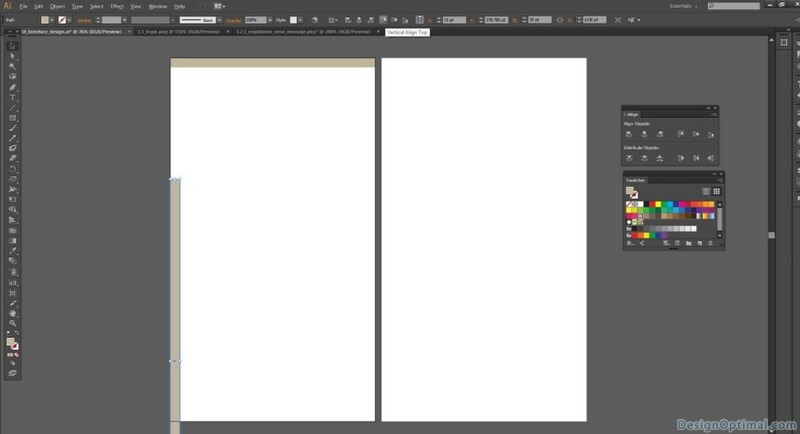 This will be the default size of iPhone 6 and give the number of art boards as 2. 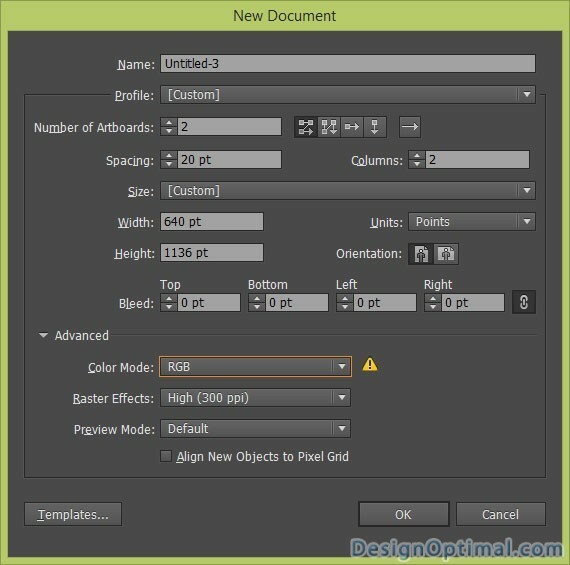 Set color mode as RGB because we are not doing this UI design for print materials. Now after creating the art board the document will look like this, now save it as Mobile UI Interface design.ai. 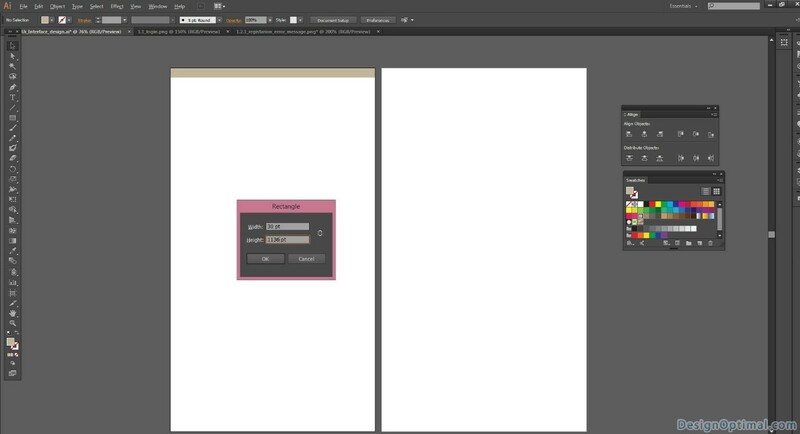 After that we will start designing the main login page first. Before we create a login page concept we will have to do some measurements in the artwork area, this will make the final out put a clean and quality design. So for that we will have to leave a margin area of 30px without any text or any other artwork related stuff. To keep these areas in proper places we will select the option called align to art board in illustrator, it is more accurate an easy to place those objects in proper place.